Wow! What a great yard! This cul-de-sac lot is fenced and HUGE! Be sure to see the plat attached in MLS docs. Bring your pets, your kids, play ball here and have a b-que! Updated ranch with 2 full baths! Darling home boasts laminate floors throughout, newer white wood doors, updated kitchen w/ pendant lighting, counter + back splash. Newer stainless steel dishwasher + microwave, newer white wood blinds + ceiling fans in each room! Cool ”Pallet” wall in living room. Water heater 2013, roof 2010! Nothing to do but move in! 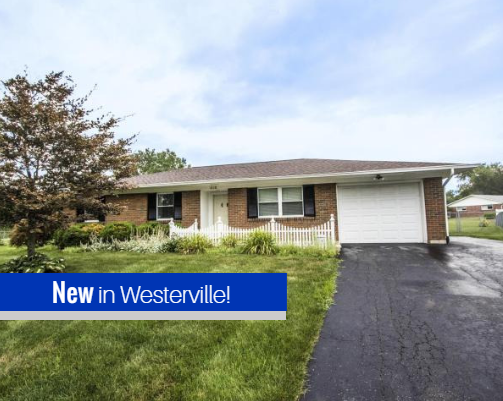 ← NEW – 516 Foxtrail Circle E in Westerville!